Dementia Connect is our expert service that will transform the lives of people affected by dementia. It connects people to the right support, at the right time, in the right way; combining face-to-face support with telephone, print and online advice and information offered by specially trained Dementia Advisers. We’re here for everyone affected by dementia, and through Dementia Connect, we’ll help you cut through the confusion and get you the support you need, when you need it. However you need us, we’re here to help; from someone to talk to, by phone, email, online or face-to-face, to practical advice and information from dementia experts who understand. It also includes our Side by Side service, which matches people with dementia with our dedicated volunteers, enabling them to keep doing the things they love. “It’s just knowing there is someone out there who you can talk to who understands.” - Katherine, Service User. Once you’ve contacted us, or your GP or healthcare professional has made a referral to Dementia Connect, you’ll be contacted by a specially trained Dementia Adviser. 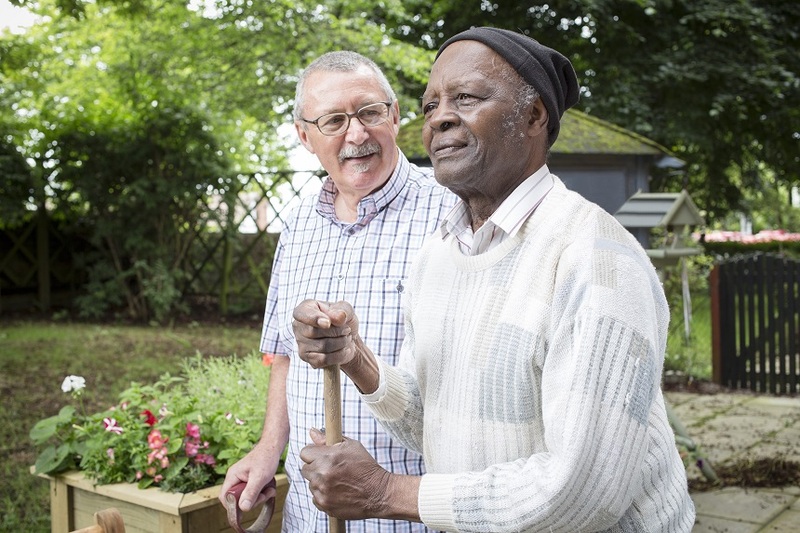 They will assess your needs and connect you to the right support, helping you to manage your condition and live independently for longer. It’s free of charge, and we’ll keep in touch, providing you with ongoing support and services when you need it. No-one should face dementia alone. And with Dementia Connect, no-one will have to. Or ask your GP for a referral to Dementia Connect today. NB: This new service is being piloted in East Lancashire, Blackburn with Darwen, Birmingham and Solihull, and from October 2018, it will be available throughout Wales. You will need to live in these areas to use this service. If you live outside of these areas, you can still talk to one of our expert helpline advisers on 0300 222 1122. Older people in England, including with dementia, are at risk of not getting enough help to live independent, dignified lives because of inequalities with assessments for social services, according to report. Alison Bickel decided to volunteer at her local Dementia Hub after her mother, Adelaide, passed away with mixed vascular dementia and Alzheimer’s disease. As dementia progresses, each person will find their own way of coping with, and reacting and adapting to, the changes it brings. Developing these coping strategies can be a gradual and subconscious process. We produce a wide range of information designed to support anyone affected by dementia. See our key publications about dementia, including factsheets, booklets and accessible resources.